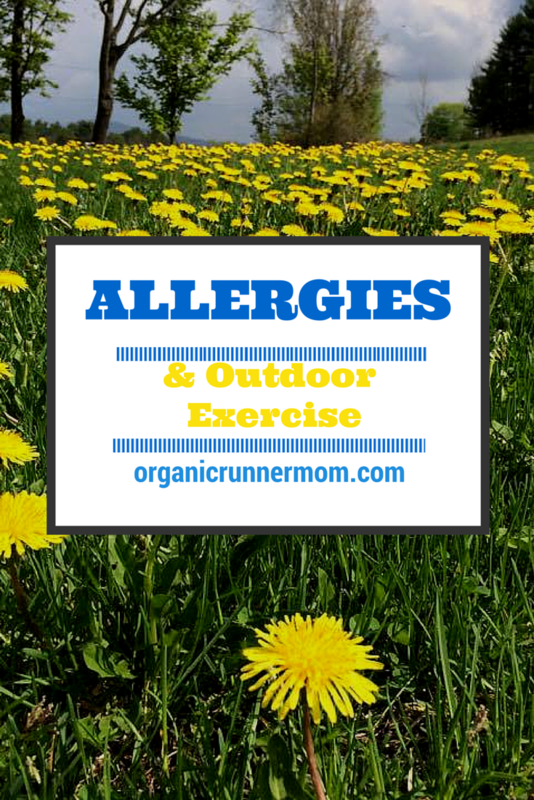 Allergies and outdoor exercise. Ugh! Allergy season is here! How will I exercise outdoors? The weather is finally amazing in New Hampshire. It feels like we went from winter to summer just like that! One week we were snowshoeing in our warmest down jackets and the next week we were running in tank tops. Sweet! That is unless you are an allergy sufferer like me. Along with the flowering trees, freshly mowed lawns, and newly budding trees comes the explosion of pollen. This year some weather forecasters have called it a “pollen tsunami.” Even if you do not have seasonal allergies you will probably be feeling the effects of all of this pollen too. I never had allergies when I was growing up but when we landed in New Hampshire 15 years ago my allergies hit me like a Mack truck. the symptoms: sinus headaches, constantly running nose, watery, itchy eyes, sneezing, and the onset of mild asthma with exercise. Testing revealed that I am allergic to most trees and especially highly allergic to birch trees and pine trees which if you’ve been to New Hampshire you know they are everywhere! When I got the bad news I ended up going through 4 years of allergy shots as a part of the treatment plan which helped significantly and my allergies have definitely improved since then. But every year when spring rolls around just when it gets nice enough to run and bike outside to my little heart content outdoor exercise combined with pollen makes for an unhappy athlete. Tips for alleviating allergies for outdoor exercise? What’s an athlete to do? I am not a huge fan of taking a lot of medication if it can be avoided at all but at this time of year Claritin, Flonase, and the occasional puff on the Albuterol inhaler are necessary to keep this body running like a well oiled (non-boogery, non-hiccupping, non-wheezing) machine. There are other things that you can do to help ease the allergy suffering when your white car looks like it is green (pollen) and you see huge clouds of green dust floating through the air. Exercise indoors. I know this sounds terrible but sometimes you just have to go indoors so that you can breathe! Take a shower and change your clothes as soon as possible after your workout to get all of the pollen off of your body and clothing. If you run with your dog, give your dog a quick hose down before returning indoors to remove any additional pollen. Check the forecast. If the weather is calling for high humidity the pollen will hang in the air making the air feel thick or “close.” This would be an optimal time to do an indoor workout. Most weather channels/websites/apps now give a pollen forecast. Run in the rain! The rain will keep the air free of pollen plus it will feel refreshing too! Limit your exposure to other allergens if at all possible! This will help your immune system stay strong against the outdoor allergens. A Neti Pot can be used as a great natural way to flush your sinuses. While doing these things won’t magically make your allergies disappear they might help alleviate your symptoms a little bit so that you don’t have to go back into total hibernation. Good luck and if all else fails tuck some tissues into your pockets just in case a sneezing attack takes over! And a few last quick things . . . If you have a chance please vote for me to be on the cover of Runner’s World Magazine. I would love your support! 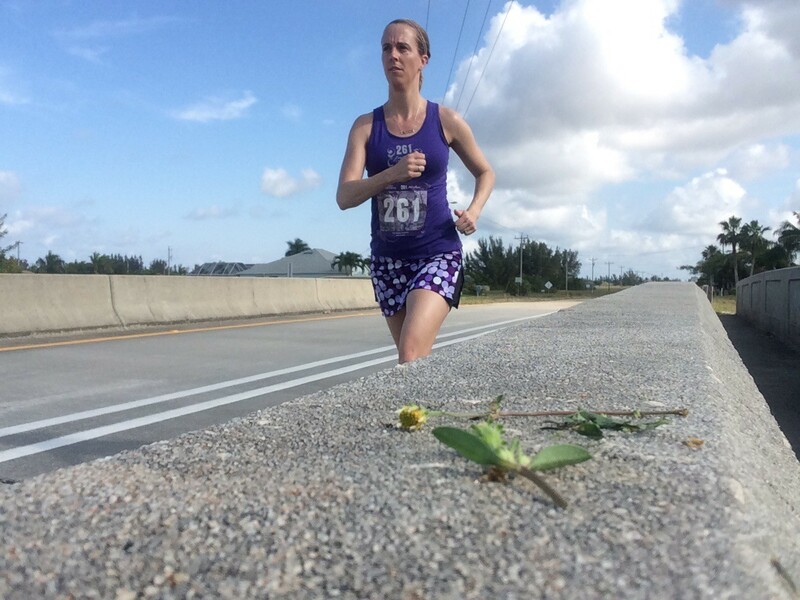 VOTE HERE #224 Sandra Laflamme AKA Organic Runner Mom. Thank you!!! I had HORRIBLY allergies as a kid – which is why I never had to mow the lawn. Now that I’m living back in Oregon – land of all things green and sneezy – I have been REALLY surprised at how little allergies have been bothering me but I still have to keep the contact with grass/pollen minimal. I am lucky that I don’t have any allergies to pollen, etc. but I have breakouts above my sock line from fertilizers sometimes. It’s like they burn my skin. Good tips and I hope allergy season doesn’t last too long! I just recently realized I have allergies and it was affecting my running. Thankfully, they’re extremely mild and can be managed with an allergy pill and my inhaler before a run. The tree pollen is what really gets me. It is worst here in March and April and it just knocks me out those 2 months. Allergy season has been full force in Austin! I have been moving more of my cardio sessions indoors like you mentioned in your suggestions. I am looking forward to getting back outside when it is all a little bit better. Lauren @ The Bikini Experiment recently posted…Does She Even Lift? Great tips! This season’s allergies have been some of the worst I’ve seen in years! i also have terrible allergies. i put local honey in my tea each morning and have a “no getting in bed unless showered and in fresh clean clothes” rule for our house starting in april and lasting until mid summer. ALL the Benadryl and Claritin! I also keep some anti itch cream in my bag too in case it gets physical! We are fortunate enough that the first rush of allergies are over where I live. There will be more bouts, but for the moment, I’m safe. I am allergic to something that blooms at night in the late summer – I will spend two hours of two weeks’ worth of nights sneezing with itchy, watery eyes and unable to get a hold of myself. It’s ridiculous. I never had allergies until after I had my son and we moved to our current city, but that’s how it happens sometimes. Claritin and Zyrtec are my buddies. I’m lucky in that I don’t have seasonal allergies… how horrible that when it just starts to get nice you’re forced inside due to allergies! For a variety of reasons, I also make sure that I have kleenex in my hydration belt. While it doesn’t prevent the problems of dealing with allergies, it certainly helps deal with it. all good points! I just did an evening run today and started sneezing the second I got inside the park. UGH! but with a little warm up and the breeze it turned out ok.
UGH! I hear you! I have had the WORST allergy-induced asthma recently. It’s awful! Great tips! !